If you are a student considering bankruptcy, odds are you have wondered about how filing bankruptcy could affect your future eligibility for student financial aid and student loans. Will a successful bankruptcy affect your ability to obtain future assistance to pay school tuition, purchase books, and cover the costs of living while in school? Does a bankruptcy affect a student bankruptcy petitioner’s future eligibility for student loans and other financial aid for school costs? Several issues are involved when discussing eligibility for future financial aid and student loans after bankruptcy. The number of variables can create a fairly complex tangle of possible answers to common questions about student loans and bankruptcy. Students considering filing for bankruptcy should talk to their financial aid counselor on campus to explain the situation and obtain any necessary guidance regarding certain loan programs and/or lenders that could be particularly suitable. The first question to ask is whether a student loan is federal or private. In general, a bankruptcy filing should have no impact whatsoever on eligibility for federal student aid. Prior to 1994, students who had their federal student loans discharged through bankruptcy were required to reaffirm their debt if they wished to be eligible for future federally funded student aid. But 1994’s Bankruptcy Reform Act amended the FFELP regulations pertaining to loans discharged in bankruptcy. Due to the changes, borrowers who had FFELP loans discharged in bankruptcy are no longer required to reaffirm the loans before being eligible for additional federal student aid. Students may not be denied Title IV grant or loan aid (this includes the Perkins loan program) based solely on bankruptcy determination. Financial administrators are precluded from using bankruptcy as evidence of a student’s unwillingness to repay. Administrators and schools are allowed to use a student’s post-bankruptcy credit history as evidence of a student’s willingness to repay. Generally speaking, students should continue to be eligible for further assistance as long as there are no delinquencies on student loans that are currently in repayment – regardless of whether or not they filed for bankruptcy in the past. If a student’s loans are in default and they weren’t included in the bankruptcy’s listing of creditors, the problem must be resolved with the loan servicer prior to being eligible for additional assistance. If a student loan in default was discharged through bankruptcy after the borrower defaulted on the loan, it is not considered to be a student loan “in default” and the student retains eligibility. Parents applying for a PLUS loan or graduate students applying for the similar Grad PLUS loan can be denied based on their credit history, including a bankruptcy in the past five years. If a students’ parents are denied a PLUS loan for this reason, students may be eligible for additional unsubsidized Stafford loan. 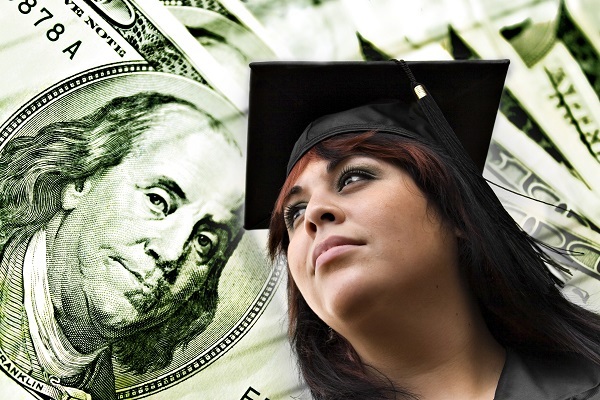 Private loans used for costs associated with student living and education expenses are an entirely different matter. When considering the effects of bankruptcy on privately held student loans and future eligibility, determine what type of bankruptcy was declared and contact both an experienced bankruptcy attorney and the financial administrator of the school of attendance for advice on the potential impact of the bankruptcy on future eligibility. If you have any more questions regarding how bankruptcy could affect your ability to obtain student loans and/or student financial assistance in the future, please get in touch with one of the experienced southern California bankruptcy attorneys at Westgate Law.